FEBRUARY 20, 2014 – Washington, D.C. — More women die of heart disease than of any other cause; however, only one in five women believes it is her greatest health threat. With this in mind, the Grain Foods Foundation is partnering with the American Heart Association’s Go Red For Women movement to generate awareness of the disease and promote women’s heart health. Grain Foods Foundation is sponsoring the Go Red For Women New York City Luncheon on March 4, 2014, and partnering with Dr. Suzanne Steinbaum, a member of its Scientific Advisory Board, to highlight the role diet can play in prevention. Studies show that maintaining a healthy diet and physical activity can reduce the risk of heart disease by as much as 80 percent. New guidelines from the American Heart Association emphasize a balanced diet that includes fruits, vegetables, poultry, fish, and a variety of grains, including whole grains. Studies have found that consuming three servings of whole grains per day can significantly cut one’s risk of heart disease. Furthermore, grains can also play a role in controlling cholesterol, weight, and blood pressure, which all contribute to heart health. In support of the Go Red For Women movement, Grain Foods Foundation is a Heart of Silver Sponsor at the New York City Luncheon at the Hilton New York Hotel. Grain Foods Foundation’s sponsorship will reach 2,000 high-risk minority women through Have Faith in Heart events. 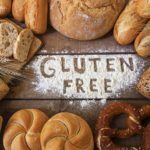 The organization will also be generating awareness of grains’ role in preventing heart disease and tips for overall heart health via its social media channels, including Facebook, Twitter and Pinterest, and its website, GrainsForYourBrain.org. The 2014 New York City Go Red For Women Luncheon, expected to raise nearly $1.5 million for research and education, will bring together AHA representatives and supporters, including Grain Foods Foundation, to celebrate survivors and inspire the community to continue the fight. Grain Foods Foundation has heart-healthy recipes in the Grains in Your Kitchen section of GrainsForYourBrain.org. The site also has expert nutrition advice from Dr. Steinbaum and other Scientific Advisory Board members, as well as video tips for including more wholesome bread and grains in your diet. The American Heart Association’s Go Red For Women movement has been impacting the health of women for 10 years. More than 650,000 women’s lives have been saved, but the fight is far from over. Now is the time to shout louder, stand stronger and demand change. It’s time to come together in a movement that is not just FOR women, but BY women. It’s time for women to Go Red. Visit GoRedForWomen.org for more information or call 1-888-MY-HEART. The American Heart Association’s Go Red For Women movement is nationally sponsored by Macy’s, with additional support from our cause supporters. The American Heart Association is the nation’s oldest and largest voluntary health organization dedicated to fighting heart disease and stroke. Our mission is to build healthier lives by preventing, treating and defeating these diseases — America’s No. 1 and No. 4 killers. We fund cutting-edge research, conduct lifesaving public and professional educational programs, and advocate to protect public health. To learn more or join us in helping all Americans, call 1-800-AHA-USA1 or visit www.heart.org.